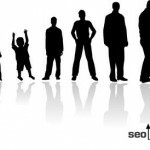 In our first blog post of this 3 part series named SEO for Large Websites Part I, we touched on the importance of defining ranking objectives (from the onset) to allow the theme to resonate with continuity and planting the seeds of relevance that will eventually becomes pillars of stability for eventual rankings. Now, in Part II, it’s time to move on to the following metrics (that are equally as important) to round out the summary of what a optimal blueprint would look like for creating a robust SEO campaign for a large website (which ultimately has different needs than a smaller website). Use Succinct Titles and Meta descriptions (as they can pull their own rankings alone). 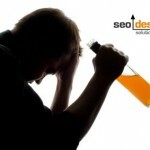 Manage Site Wide Duplicate Content (Custom templates, Noindex, Follow, 301 Redirects, XML Sitemaps). Determining the Preferred Landing Page – This is possibly one of the most important aspects to an organic optimization campaign. Most simply assume that their homepage is the most relevant place for conversion, yet, nothing could be farther from the truth. You should know that instead of just entering the front door/homepage that people will enter a website from the side door, the back door, on a whim from an iframe from a social media site, a Google blog alert from Google Blog Search, an RSS feed reader or otherwise. So, depending on your homepage is not an option as your website grows and develops more authority unless you want to leave a pile of cash on the table for your competition to devour. Each page MUST quickly establish what its purpose is and clearly communicate a core benefit to the user in order to facilitate conversion – so this is where your preferred landing pages come in. If you understand that each page can rank for specific keywords on its own merit and understand that it is a process well within your control, then it doesn’t have to be a guessing game when it comes to conversion. Organic optimization under this light becomes more like a preferential selection of significant landing pages that are augmented by subordinate means within a site such as (a) dynamically generated php includes with topically aligned products or pages (b) contextual linking from related pages “much like Wikipedia” (c) sitemaps (d) RSS feeds or syndication formats such as Google Base or other means to provide deep crawling and indexing. In another post named “How to Make SEO Landing Pages That Rank Like PPC“, I cover this tactic in greater detail. However, to summarize, you simply create enough topical pages or leverage the co-occurrence of keywords (from pages or posts, tags, tag clouds, footer links, etc.) 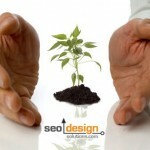 to link to the preferred landing page with the root keyword and stemmed variations you wish to rank for. It will state “results 1-10 of X Amount”, X-amount will vary depending on the number of supporting pages are targeting the keyword. Targeting implies that it appears in exact match, phrase match or broad match in the title, description or on the page or in links in some way, shape or form in the site. Using that search operator, you can see how many ball park / supporting pages they used to acquire that position. Granted site age, domain authority and page strength / relevance and continuity have a great deal to do with their position; you still need comparable metrics that you can use for gap analysis. After you have a metric, you can then analyze their strongest pages as well as the other top 3 competitors to look for similarities or indications of their ranking tactics. For example, are they employing fewer more authoritative links and dozens of supporting pages for each topic or a larger number of internal links and less external links to each page to produce their ranking factor? Each has its advantages and disadvantages, but at least you will have a benchmark such as (100 pages and 20 links per page with varied anchor text) to topple their competitive advantage. Reinforcing Competitive Keyword Categories – This is where ranking battles are fought and won daily in reinforcing multiple granular layers to send a clear signal to search engines that you are working under the premise of optimization. For example if I wanted to rank for the keyword “designer shoes” or “athletic shoes” which is a great example of a broad category replete with brands, makes, models and features. I could then set up the parent category so that it is only a few clicks away from the root folder and then feed the relevance model by using title tags, site architecture and content to reinforce topicality. Designer Shoes has 2.5 million competing pages in the top 1000 search results in Google. Since that is not extremely competitive, depending on how you leveraged the off page factor, I would say a timeline of 8 months to acquire that result is fair. Looking at the threshold, the more supportive layers I add to this topic, the easier it would be to scale relevance, which means that adding multiple sub folders and using the subordinate pages to get spiders and links to those pages internally would be the first priority. 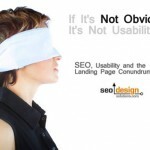 From personal experience, I would add 100 pages of contextual content to use to support the landing pages. The contextual articles could be a blog or articles designed to instill a footprint in search engines with an array of anchor text and relative pages “designer shoes for sale”, “why you should avoid designer shoe knock offs”, etc., to reinforce the theme of the site. I would then structure the site in such as way that the top level categories are broad enough (shoes) to encompass one more layer where I can instill make, model (designer pumps/designer flats) and a unique description to set myself apart from other companies that may be employing copycat content from mfg. specs. One example would be shoedomain.com/shoes/prada-black-highheel-pumps.html that way I could consolidate or parse each aspect/designer/make within one query string after the /shoes/ sub folder or elect to specify one additional silo to support. The category would be where I focused the anchor text to from within the site, in addition to each specific make, model and designer after the site architecture was in place. By feeding the sub folder “shoes” and funneling internal and external links to that “keyword-rich / relevant sub folder”, I am indirectly providing buoyancy to each page contained within that folder (making it less dependent on off page ranking factor). If I can internally reinforce the landing pages in this capacity, then time, absolute links (using the full URL vs. relative links /page.html) will eventually create Pagerank and flow upwards and back to the main categories and site theme if structured properly. Then after I was done with that category, I would move on to the “athletic shoes” category and set up similar internal support mechanisms. You could then cross link the two categories with secondary navigation, footer links or the contextual content to provide a push to your deeper internal pages. 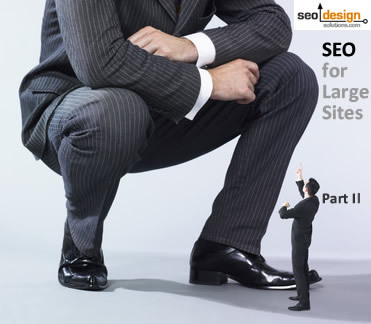 As the site grows and ages, it will be able to manifest ambient rankings from keyword stemming (queries finding near matches in the descriptions, title tags and content throughout the site) and return an array of search results from the long tail that supersede your original ranking intent. This broadening of relevance and keyword stemming is a blessing in disguise, but it is the site architecture and the use of deep links and internal links (deep links from RSS feeds, or other sites even if it’s only a few links from other websites) will differentiate your site from a competitors who has zero inbound links to deep pages. This concludes part II of SEO for large sites and in the last and final post SEO for Large Websites Part III (coming soon), we will cover my favorite topic, internal linking, the thread of relevance between titles, descriptions, url structure and landing pages in addition to some other unique tactics that you can use to leverage your on page SEO factors. 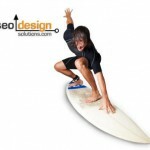 Stay tuned for more from SEO Design Solutions Blog, where we share free search engine optimization tips, tactics and strategies that you can actually use to conquer your competition online.